Liz holds a PhD in Media, Music and Cultural Studies and MA (Research) in Contemporary Music (both from Macquarie), and a BA (Media and Comms/English) Hons from UNSW. 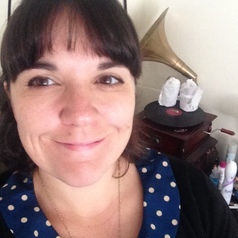 She researches and teaches in popular music, screen sound (particularly music and television), artist and audience engagement (including versioning and various professional and amateur participatory cultures), genre studies (particularly comedy) and Australian cultural history. In addition to this she works regularly in the national independent arts press as a journalist and commentator, is a regular contributing editor for Metro Magazine, and is currently serving as the publication officer for IASPM Australia/New Zealand.